When your running résumé includes course records at Mogollon Monster 100 & Cactus Rose 100, there is plenty for the rest of us as trail runners to learn from that individual. 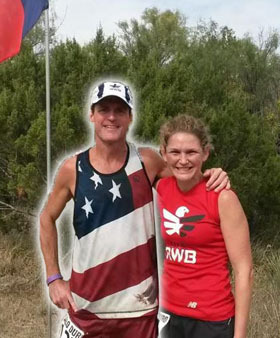 INKnBURN Ambassador Steven Moore has been putting down winning performances for years in a variety of ultramarathons all over the United States, but this Austin-based runner can often be found here at home at lots of Texas trail races. Steven’s featured here because he was also the 40 miler overall winner in 2014, and he shares his thoughts on Rough Creek with all of us. While you may not be winning the longest distance at our race like Steven did, you are guaranteed to have a challenge and a fun time among all your trailrunning friends, and with Steven's advice, you too can have a great race day!